In LAN, some times got network error (TCP/IP error 26) while accessing the SQL server. To resolve this error we have to repair our network connection using Right Click on network icon -> Repair. While using Repair Option sometimes the repair option not work and repair dialog still appear. To resolve that problem I created the .bat script to repair LAN without using Repair Option. Open notepad and copy/past above script and save it as .bat extention. In 2010, there were 14 new posts, not bad for the first year! There were 23 pictures uploaded, taking up a total of 672kb. That’s about 2 pictures per month. The busiest day of the year was October 29th with 109 views. The most popular post that day was Great achievment of Bhakti Singhwane. The top referring sites in 2010 were google.co.in, google.com, en.forums.wordpress.com, linkedin.com, and ramanisandeep.wordpress.com. Bhakti Singhwane participated in 10’th All India Dance and Drama Competition, recently organised by Gurgaon-based Nistha Sanskritik Manch (NSM). She participated first time in national level Dance Competition and got the 1’st Prize in solo dance competition and 2nd Prize in group dance. Her age is only 8 years. 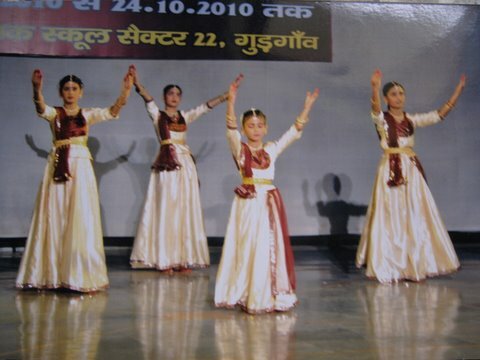 She is learning dance under the guidance of Vaishali Patil. Artistes from across the India (28 states) participated in the meet staged at the spacious and multi-screen amphitheatre of the Rotary (International) Public School (RPS) in Sector 22. Most of the time we call the customer care or other number those uses the IVR i.e. Interactive voice response system. 12345678 and you need to go to by press 1 than 2 and than 4. “12345678p1p2p4” it will take you to directly on 4. By pressing * button 3 times in Nokia mobile you can get that “p” i.e. pause. And other mobile you have to hold the * key till you get the “p” on screen. 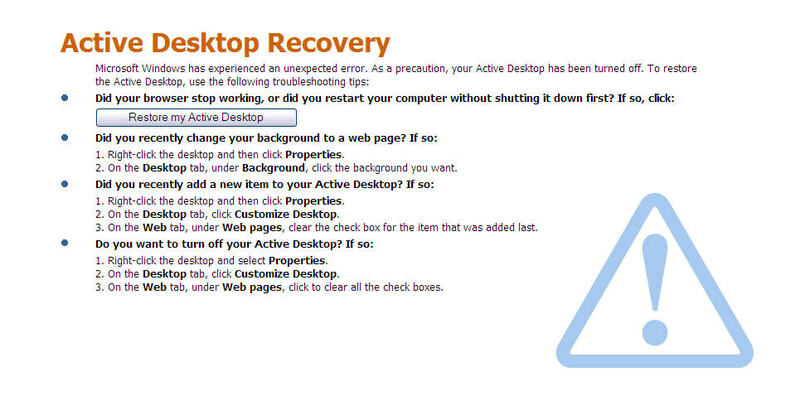 Some time we saw this “Active Desktop Recovery Error” on Desktop. When this error comes our desktop wallpaper has been replaced with this error. To Resolve this error we have to change in registry setting. Go to Run window using Win + R.
In here you can find “DeskHtmlVersion” key just modify its value 0. After this log-off/restart your computer and log in again you will see your wallpaper. Using this query we can identify the slowest query which is executing in database. To execute this you must have a sufficient privileges other wise you will get this error.